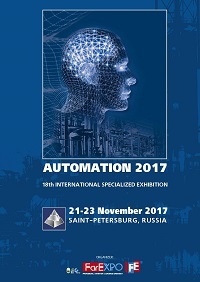 AUTOMATION EXHIBITION has being held for 16 years and has got international recognition among the industry specialists as professional business platform for automation facilities and systems promotion in Russian market. In the last few years the trade fair rightfully got the leading role among Russian exhibitions devoted to automation for the industrial sector, energy, housing and utility sector. In course of the exhibition organization the special programme "Профиt-Visitor", aimed for professional visitors attraction, is been deployed. Strengthening of the qualitative visitor's composition of the exhibition due to active work with the key visitors. Share gains of regional visitors. Insuring the effective business contacts between visitors and participants. The programme presupposes active interaction between experts and specialists of the industry. "Профиt-Visitor" programme has being in use since 2010, which has resulted in the considerable growth of visitor's qualitative and quantities composition. The exhibition is accompanied with comprehensive business programme including workshops and presentations of exhibitors. Further details on the business programme will be announced on the site at its availability. For exhibitors, developers, manufacturers, distributors, the best all-around presentation of their production and services.